To the staff at Ebenezer School is it very important that no one feels like they’re carrying the burden of work alone, and they help each other when needed. 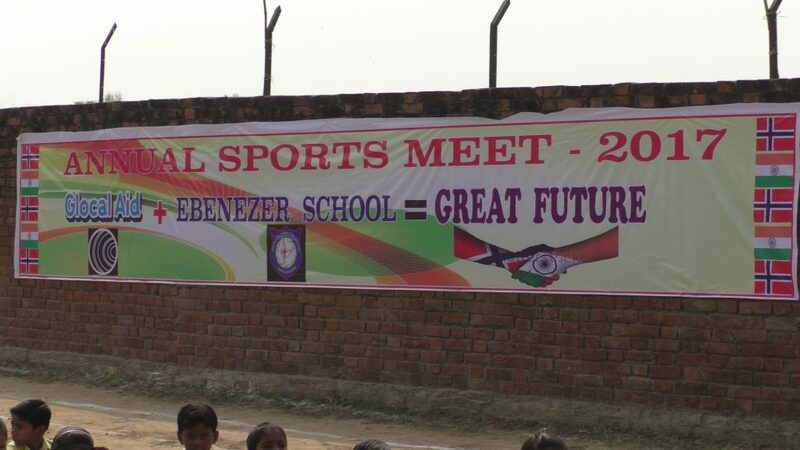 When the Annual Sports Meet was moved up because of visitors, the gym teacher needed everyone to help out to get things ready. The students got to choose sports they like and some were taught sports they weren’t familiar with. 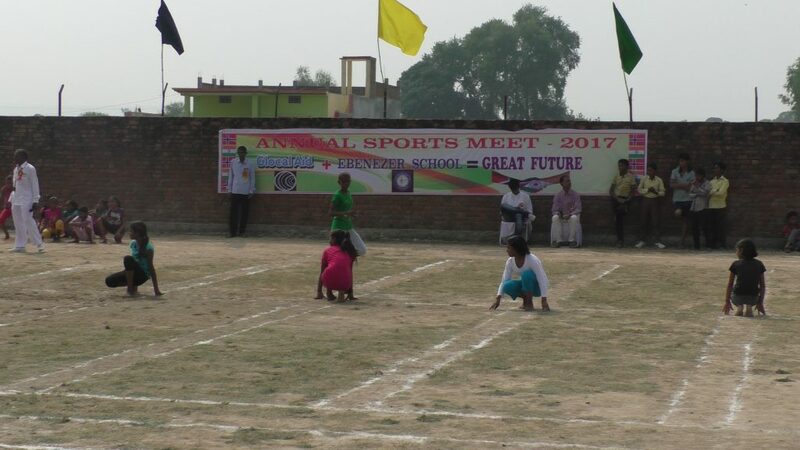 The different sports they could choose between were long jump, shot put, Kho-kho sport, kabaddi sport, badminton and running. 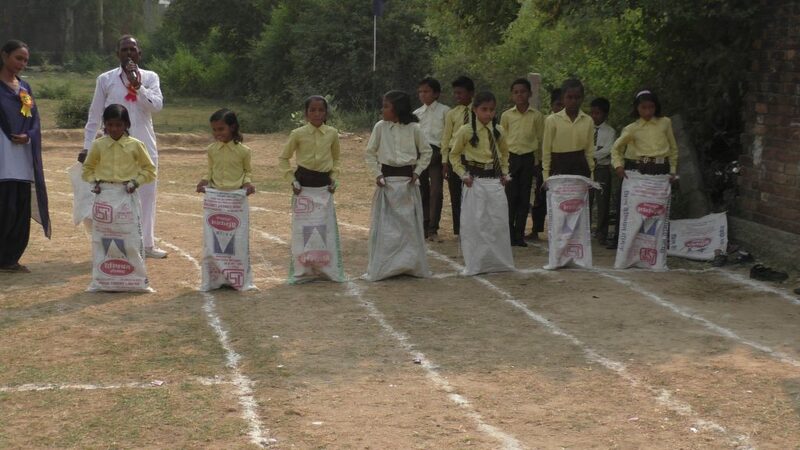 For the youngest students at Nav Jeevan, they organized a sack race and jalebi race. Because the temperature has finally fallen, it has been a lot better for the kids being outside so much during the day, playing sports. 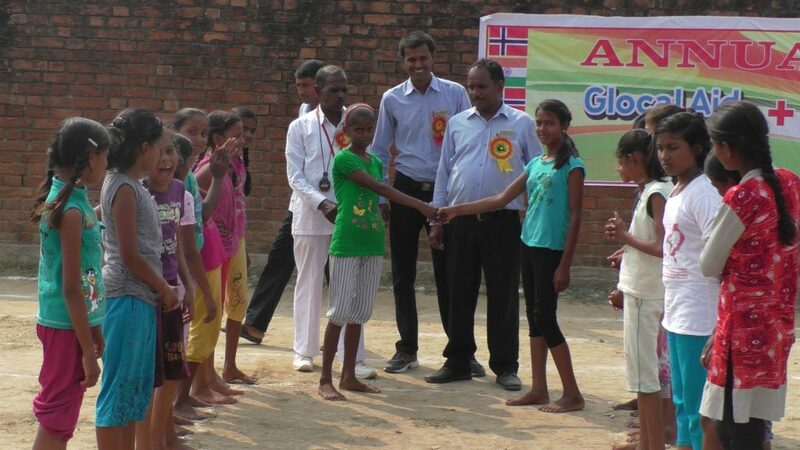 First week of November, Øystein Gjerme, board member of Glocal Aid came to visit. 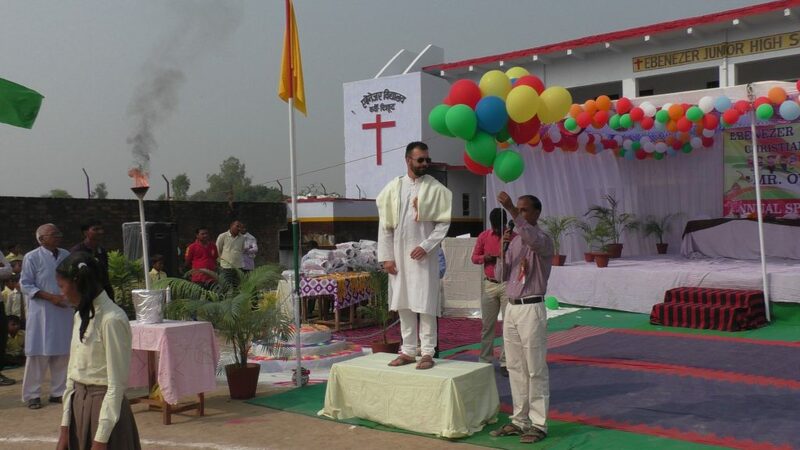 The school had prepared a welcoming ceremony with flower garlands and badges as a sign of respect. The Headmaster gave him a shawl as a sign of friendship and a strong bond between Ebenezer School and Glocal Aid. Øystein gave a short speech to everyone and was then asked to raise the flag, before the children marched around the school. It was now time for Øystein to declare the Annual Sports Meet 2017 for “open”. After, he was given coloured balloons to let go of, symbolising the different colours, harmony and special bonding Ebenezer represents. The children did a welcoming dance and sang a song before the games began. All the children were given new shoes for school, a pair of socks and a woollen sweater brought by Øystein on behalf of Glocal Aid. The rest of the day consisted in playing sports, and it was a lot of fun watching all the students in different ages playing different sports all over the school. At the end of the day, handed out medals to the best players in each sport. The teachers are at this point doing the final preparations as examinations are coming up. 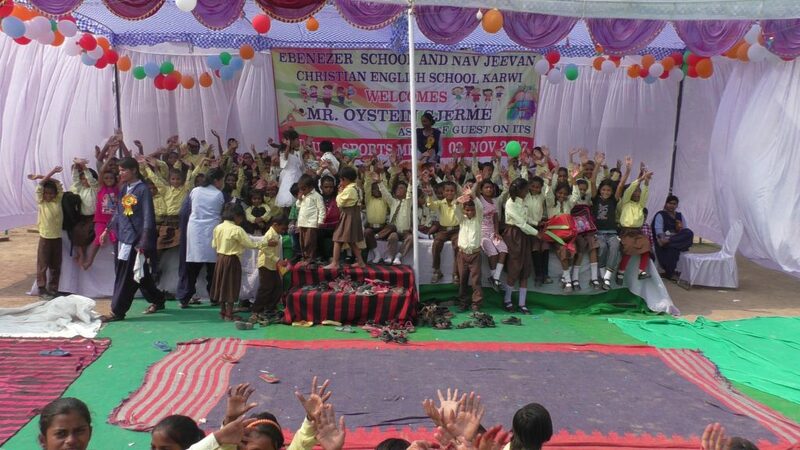 There is a computer class that the students can now attend, which they are very excited about. To give more students the opportunity to do this class, the school is trying to see if they can have more computers in the school. In a previous newsletter, it was explained how the teachers went from door to door to reach out to families and where the goal was to get in contact with families outside the area that had heard about Glocal Aid and their scholarship program. One of the teachers met the Devi family. They are a family of 12 children and a total of 25 family members. This family gets most of their income from agriculture, but the yearly monsoon limits the reap. 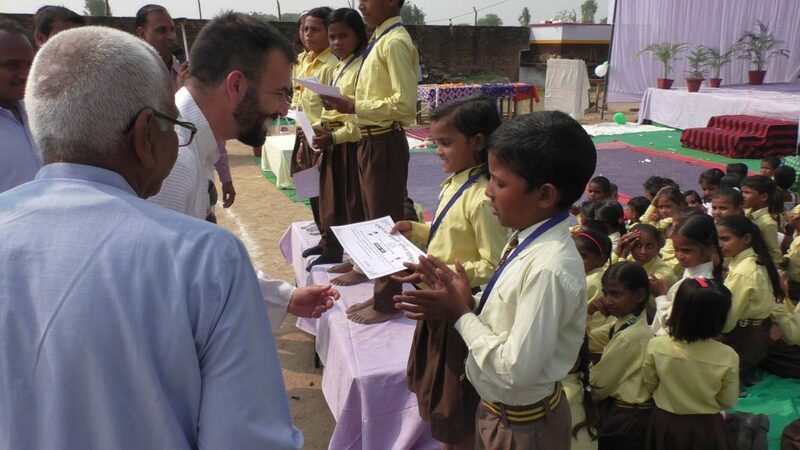 This causes them to have very little income and so they were offered scholarships so the kids could go to school. Now, 7 months later, all the children are very happy they got this offer, and they have expressed their thankfulness not only for the theoretical aspect, but also because they get to do sports and different activities. Dhreeraj and Luvkush are brothers and live with their family in the middle of their field. Their father is a farmer and their income varies depending on how much food they sell at the local market. Their house is made of mud and their roof is covered with plastic, wood and mud. When the family was told about Glocal Aid’s program at Ebenezer School, they immediately said yes to that offer, and are now very thankful for this opportunity. Both students have developed a lot. Dhreeraj was appointed School Captain 2017 and doing a great job. His younger brother is a runner up for next year.